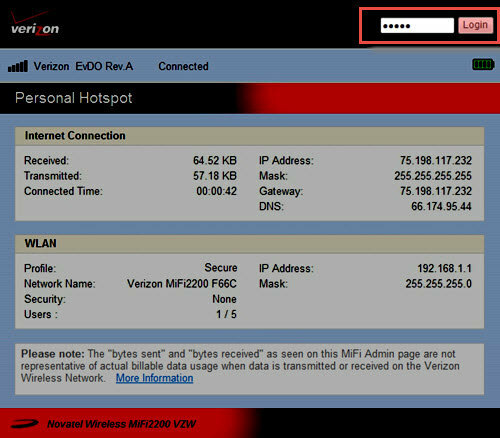 Set up a Wi-Fi network connection with the device. 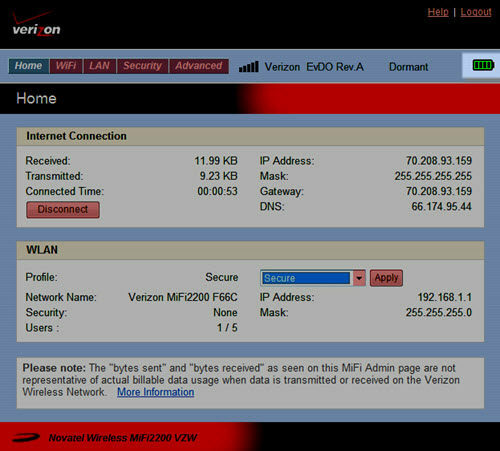 The network credentials (SSID / Password) are located on the back of the device. From the URL / address field of a web browser, enter 192.168.1.1 then press the Enter key. View the Network Signal Strength Indicator (upper-right of the menu bar).